Overwatch League has added a new tab to its website’s sidebar, one that will grant you access to the deepest secrets of the game’s highest level players. Yes, the organisation has finally revealed the individual player stats of its top pros, so you can compare your in-game performance to that of London Spitfire, Dallas Fuel, Seoul Dynasty and the rest. Visitors can view player eliminations, damage dealt, deaths and healing per 10 minutes for the current stage of the ongoing competitive season. Blizzard has said that full stats for previous seasons will become available at a later date. Additional features – including player comparison tools and leaderboards – will also be added in the future. Get locked and loaded with our best FPS games on PC. Despite being the team with the fewest wins, Shanghai Dragons boast the most active healer. Cheng “Altering” Yage holds this title with 12,081 per 10 mins. The most bloodthirsty player, and by that we mean the player with the most eliminations, is Alexandre “SPREE” Vanhomwegen, who mains tanks like D.VA and Zarya. Those stats are going to continue to evolve, with the fourth week of OWL’s fourth stage under way. 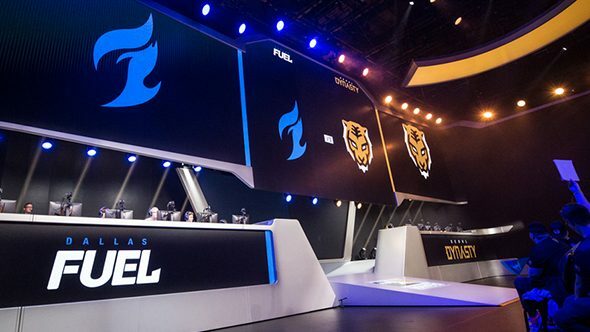 Seoul Dynasty and Boston Uprising will face off today at 6pm CT, followed by Shanghai Dragons and Florida Mayhem. You can watch those matches right here in the player below. Check out the pro’s stats on the Overwatch League site here. It’s been a big week for pro and everyday Overwatch players alike, with a massive new PTR update promising new social features, a revampeed Horizon Lunar Colony, and the long-awaited Symmetra rework.